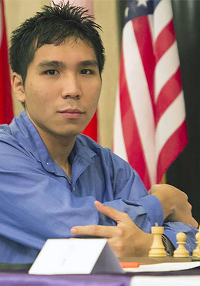 GM Wesley So Wesley Barbasa So was born on October 9, 1993 in Bacoor, Cavite, Philippines. His parents were William and Eleanor So, both accountants. His father taught Wesley how to play chess when Wesley was 7 years old. By age 8, he was playing in local rapid tournaments. By age 9, So was competing in junior tournaments. In 2003, he won the Philippines under-10 championship. In 2003, he finished 19th in the under-10 World Youth Chess Championship (won by Sanan Sjugirov), held in Greece. In 2004, he played in the Association of South-East Asian Nations (ASEAN) Open Under-10 championship, winning the individual gold in the standard and rapid sections. In 2004, he finished 13th in the under-12 World Youth Chess Championship (won by Nan Zhao), held in Greece. He was awarded the FIDE master title in 2004 at age 11. In 2005, he played in the ASEAN Open Under-12 championship, winning the individual gold in the standard, rapid, and blitz sections. In 2005, So, rated 2165, finished 4th in the under-12 World Youth Chess Championship (won by Srinth Narayanan), held in Belfort, France. In August 2005, So, rated 2215, played in the 12th Nice International Open. He took 16th place out of 159, scoring 4 out of 7. Vladislav Tkachiev and Aurelien Dunis tied for 1st place. In late 2005, he played at the Singapore International Masters Open, winning the award for the best under-12 in the tournament. In April 2006, he scored 5/9 at the 8th Dubai Open and earned his first IM norm. In June 2006, So scored 5.5/9 at the San Marino Open, earning his 2nd IM norm. He also won the award for the best player under 16. In May-June 2006, FM So (2254) played 2nd reserve board for the Philippines chess team at the 37th Chess Olympiad, held in Turin, Italy. He won 2, drew 2, and lost 1. He completed three International Master (IM) norms in the space of 4 months, becoming the youngest IM Filipino at the age of 12 years and 10 months. In August 2006, So scored 6.5/11 at the 3rd Dato Arthur Tan Malaysia Open, held in Kuala Lampur. He also won the award for the best player under 16. In October 2006, So scored 5.5/9 at the 3rd Calvia Open. He earned his first grandmaster (GM) norm with 7 out of 9 at the Offene Internationale Bayerische Schach Meisterschaft, held in Bas Wiessee, Germany. He tied for 6th with 4/8 at the GMA Presidents Cup in Paranaque, Philippines. At the end of 2006, he scored 6/9 at the Singapore Masters. In January 2007, he qualified for the Chess World Cup 2007 after scoring 5.5/9 at the Zonal 3.3 championship in Phu Quoc, Vietnam, narrowly missing both a GM norm and qualification for the 2007 World Cup. By April 2007, his rating was 2519. On May 9 2007, he won the Philippine National Junior Chess Championship at the age of 13 years and 7 months. In September 2007, he scored 6 out of 11 at the Asian Individual Championship. In September 2007, So got his second GM norm by scoring 7.5/13 at the U-20 World Junior Chess Championship, held in Yerevan (won by Ahmed Adly of Egypt). On December 8, 2007, he achieved his third and final GM norm at the Prospero Pichay Cup International Open in Manila. He scored 6 out of 9, including 5 draws against his five GM opponents. He became the youngest Filipino GM at the age of 14 years, 1 month, and 28 days. When he earned his title, he became the 7th youngest GM ever. At the time, he was the world's youngest GM. He was then ranked the strongest player in the world under 16. In January 2008, he was 4th at the ASEAN Chess Circuit, held in Tarakan, Indonesia. On April 15, 2008, he took 1st place on tiebreaks at the 10th Dubai Open (The Sheikh Rashed bin Hamdan al Maktoum Cup). He scored 7 out of 9 and had a 2708 performance rating. He earned $4,500. In 2008, he won the "Battle of Grandmasters tournament" in Manila. He took 10th place in the Philippines Open. He took 2nd place at the Subic Open. In July 2008, he took 2nd in a tournament to decide the team for the upcoming Chess Olympiad. He tied for 8th place at the World Junior Championship, held in Gaziantep, Turkey. He tied for 2nd place at the Vietnam Open. In November 2008, GM So played board 2 for the Philippines at the 38th Chess Olympiad in Dresden, Germany. He won 4, drew 6 and lost none. At the end of 2008, So was rated 2610 and was the youngest player in history to break the 2600 Elo barrier, surpassing the record previously held by Magnus Carlsen. In January 2009, he won the Corus Group C chess tournament, scoring 9.5/13. That earned him a spot in Group B the next year. In February 2009. So took 17th place at the Aeroflot Open, held at the Hotel Gamma-Delta in Moscow. He was the top junior. In April 2009, he won the National Championship of the Philippines at the age of 15 years and 6 months. He scored 6.5 out of 11 at the 8th Asian Continental Chess Championship, held in Subic Bay, Philippines. On July 29, 2009, So took 2nd at the Zonal Championship, held in Ho Chi Minh City, Vietnam (won by GM Darwin Laylo). Thus, he qualified for the 2009 Chess World Cup. In 2009, So progressed to the 4th round of the World Cup, held in Khanty-Mansiysk, before being knocked out by Vladimir Malakhov after rapid tiebreaks. Earlier, he had defeated Gadir Guseinov, Vassily Ivanchuk, and Gata Kamsky. In 2010, he tied for 4th place at the Corus Chess Group B. He tied for 7th place at the Aeroflot Open. In April 2010, he tied for 2nd at the 10th Asian Continental Championship, held in Iran. In 2010, he won the Philippine Chess Championship. He tied for 5th at the Biel tournament. In September-October 2010, So played board 1 for the Philippines in the 39th Chess Olympiad, held in Khanty-Mansiysk, Russia. He won 3, drew 7, and lost none. In 2010, he took 4th at the Susan Polgar Institute of Chess Excellence (SPICE) Cup. He took 4th at the Tata Steel (formerly Corus) Group B. In July 2011, he won the Philippine Chess Championship for the 3rd time. In 2011, he defeated Chinese GM Ding Liren in the first round of the World Cup, but lost to Sergey Karjakin in the second round. In May 2012, he tied for 4th in the Asian Continental Chess Championship, scoring 6 out of 9. In August 2012, he came to the United States and began full-time study at Susan Polgar's chess academy, located at Webster University in St. Louis. In 2012, he played 1st board for the Philippines at the Chess Olympiad in Istanbul. He won 2, drew 9, and lost none. In September 2012, he took 1st at the Quebec International, scoring 7/5 out of 9. In January 2013, So took 2nd in the Zonal 3.3 Championship in Tagaytay, Philippines and qualified for the World Cup. He tied for 1st at the Reykjavik Open. He was now rated over 2700 and ranked #50 in the world. In 2013, he won the gold medal at the 27th Summer Universiade in Kazan, Russia. He was knocked out in the 2nd round of the 2013 World Cup. He defeated GM Alexander Ipatov in the first round, but was defeated by GM Evgeny Tomashevsky. On June 6, 2013, he tied for 1st with Varuzhan Akobian at the US Game 10 championship in Las Vegas. On June 9, 2013, he tied for 1st place at the National Open in Las Vegas. On June 9, 2013, he took 1st place in the National Open Blitz, held in Las Vegas. In October 2013, he won the Unive Crown Group. On December 13, 2013, he tied for 1st with Ray Robson in the Pan American Intercollegiate championship, held in Lubbock, Texas. In 2014, he tied for 4th in the Tata Steel Chess Tournament Group A, scoring 6 out of 11. He won the 49th Capablanca Memorial tournament in Havana, finishing a clear point ahead of his competitors. On June 15, 2014, he won the National Open Blitz, held in Las Vegas. On June 21, 2014, he won the 9th Edmonton International, held in Edmonton, Canada. On July 12, 2014, he won the ITT ACP Golden Classic tournament in Bergamo, Italy. On October 13, 2014, he won the first Millionaire Chess Tournament, held in Las Vegas. He won the $100,000 first place prize. In November 2014, he changed his affiliation from the National Chess Federation of the Philippines (NCFP) to the United States Chess Federation (USCF). He did not change his citizenship. 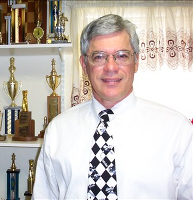 He left Webster University to focus full-time on chess. On December 30, 2014, he won the 24th Annual North American Open, held in Las Vegas. By the end of 2014, he was the 12th highest rated player in the world. On January 5, 2015, he tied for 2nd place at the Tata Steel Masters. In 2015, he won the 22nd Bunratty Chess Festival in Ireland. On April 12, 2015, he took 3rd place in the US chess championship, held in St. Louis. Hikaru Nakamura took 1st place, followed by Ray Robson. So lost 4 games, incluiding one on forfeit. On April 16, 2015, he scored 5 out of 9 at the Gashimov Memorial in Shamkir, Azerbaijan. On May 30, 2015, he scored 7.5 out of 11 in a French team tournament. On June 13, 2015, he won the Czech Chess Trophy in a four-game match with GM David Navara. On June 27, 2015, he took 2nd at the Dortmund Sparkassen Chess Tournament. Fabiano Caruana won the event. On June 27, 2015, he scored 6 out of 10 in the Turkish IS Bank League. On September 1, 2015, he took last place (10th place) at the Sinquefield Cup in St. Louis, scoring 3 points out of 9. The event was won by Levon Aronian. On September 11, 2015, he scored 5.5 at the FIDE World Cup in Baku, Azerbaijan. On October 12, 2015, he tied for 1st with Fabiano Caruana, Luke McShane, and Evgeny Najer at the Millionaire Chess Open 2 in Las Vegas. On October 26, 2015, he won the 8th Bilbao Chess Masters final on tiebreaks over GM Anish Giri. On December 20, 2015, he scored 5.5 out of 9 at the Qatar Masters tournament. In 2015, he took last place at the Sinquefield Cup, held in St. Louis. In January 2016, his rating was 2773. In 2016, he was awarded the 30th Samford Chess Fellowship by the US Chess Trust. He was given $42,000 in financial support for chess. On January 16, 2016, he scored 7/13 at the Tata Steel Masters. On April 25, 2016, he tied for 2nd with Hikaru Nakamura in the US championship, held in St. Louis. Fabiano Caruana won the event. On April 30, 2016, he played in the China-USA GM Summit match, scoring 3 draws and 1 loss. On July 13, 2016, he took 1st place at the 9th Villa de Bilbao Open in Spain. On August 14, 2016, So, rated 2771 (USCF rating 2846), took 1st place at the Sinquefield Cup, held at the Chess Club and Scholastic Center in St. Louis. He won 2 games, drew 7 games, and lost no games for a score of 5.5 out of 9. He received $75,000 from Rex and Jeanne Sinquefield. On September 1, 2016, So won the gold medal for board 3 for the USA team at the 42nd Baku Chess Olympiad. The USA team brought home America's first Gold Medal since 1976. So had a 2900 performance rating. On October 1, 2016, he took 2nd place at the Isle of Man tournament, won by Fabiano Caruna. On December 9, 2016, he took 1st place at the London Chess Classic. In 2016, he won the Grand Chess Tour (GCT), a series of four Grand Prix tournaments. That earned him $295,000. In January 2016, he was declared the Player of the Year 2016 by ChessBase. On January 29, 2017, he won the 79th Tata Steel Chess Masters Tournament (category XXI event at 2751) in Wijk aan Zee, scoring 9 out of 13 (5 wins, 8 draws, and no losses). His performance rating was 2887. World champion Magnus Carlsen took 2nd place. From July 2016 to the end of January 2017, So has been undefeated in 56 games. The record is 95 undefeated games by Mikhail Tal in 1972. His standard FIDE rating is 2808 (4th in the world). His rapid rating is 2759 (16th in the world). His blitz rating is 2791 (14th in the world). His live rating is 2822.1. His USCF regular rating is 2891. His USCF Quick rating is 2705. His USCF blitz rating is 2851. So currently lives in Minnetonka, Minnesota. So was the Philippine's youngest National Champion, youngest International Master, and youngest Grandmaster. His blitz rating on ICC is 3604.